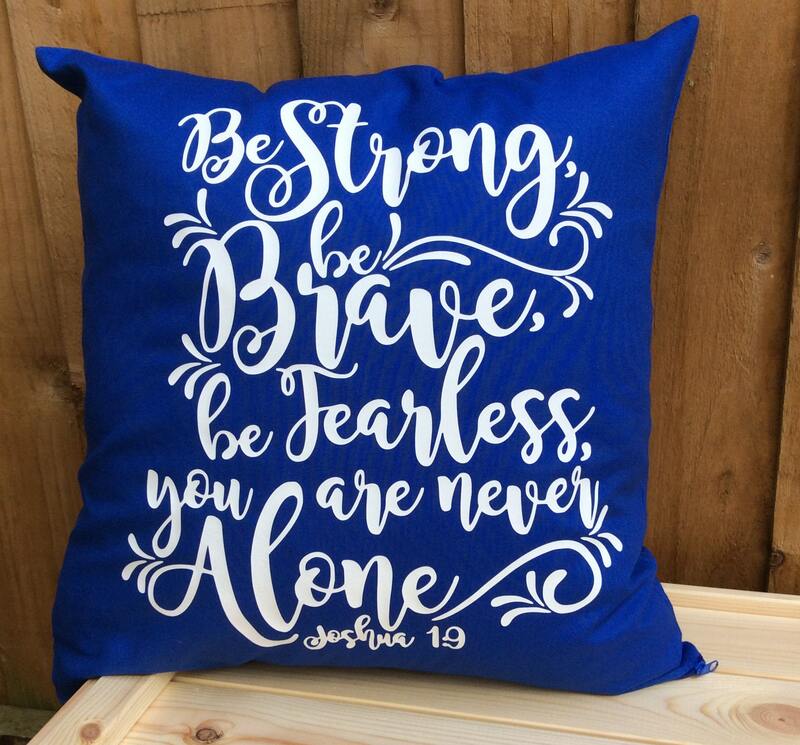 An inspirational bible scripture cushion cover with a message to say "Be Strong, be brave, be fearless, you are never alone" from Joshua 1:9. 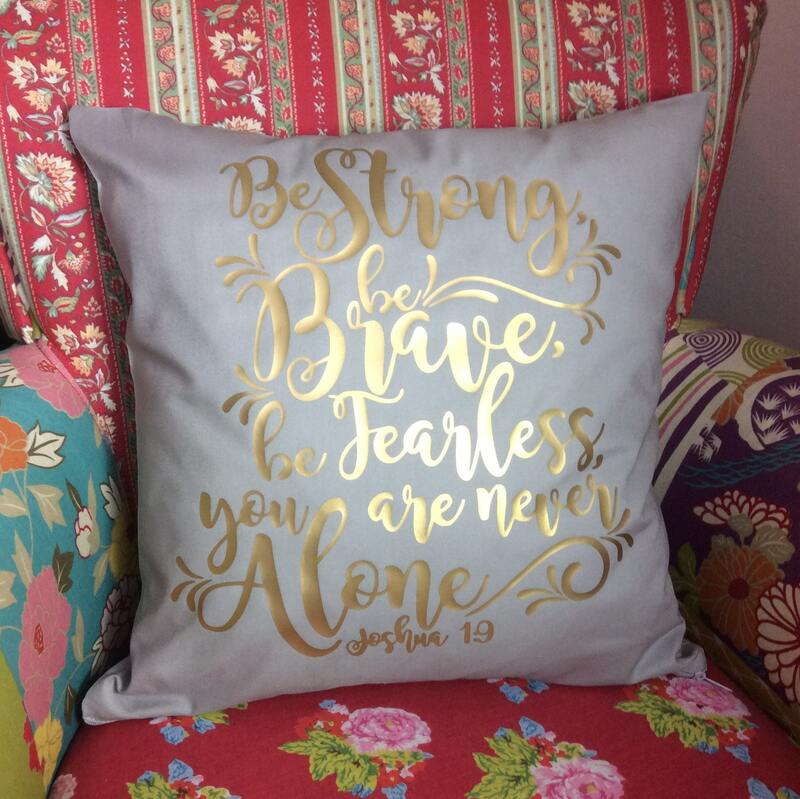 An ideal gift for a Contemporary Christian to decorate their modern home or office. 16x16 inch (41x41cm) square 100% cotton cushion with zip to fasten.